These collections of specially commissioned essays present the latest musicological and theoretical research on individual high-profile composers. Written by leading scholars in the field, they consider the reception history, performance practice and life of the composer, and discuss the historical and analytical issues with reference to the major works. Ernest Bloch left his native Switzerland to settle in the United States in 1916. One of the great twentieth-century composers, he was influenced by a range of genres and styles - Jewish, American and Swiss - and his works reflect his lifelong struggle with his identity. Drawing on firsthand recollections of relatives and others who knew and worked with the composer, this collection is the most comprehensive study to date of Bloch's life, musical achievement and reception. 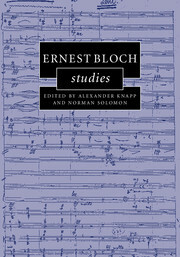 Contributors present the latest research on Bloch's works and compositional practice, including studies of his Avodath Hakodesh (Sacred Service), violin pieces such as Nigun, the symphonic Schelomo, and the opera Macbeth. Setting the quality and significance of Bloch's output in its historical and cultural contexts, this book provides scholarly analyses as well as a full chronology, list of online resources, catalogue of published and unpublished works, and selected further reading. Pierre Boulez is acknowledged as one of the most important composers in contemporary musical life. This collection explores his works, influence, reception and legacy, shedding new light on Boulez's music and its historical and cultural contexts. In two sections that focus firstly on the context of the 1940s and 1950s, and secondly on the development of the composer's style, the contributors address recurring themes such as Boulez's approach to the serial principle and the related issues of form and large-scale structure. 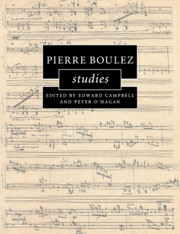 Featuring excerpts from Boulez's correspondence with a range of his contemporaries here published for the first time, the book illuminates both Boulez's relationship with them and his thinking concerning the challenges which confronted both him and other leading figures of the European avant-garde. In the final section, three chapters examine Boulez's relationship with audiences in the United Kingdom, and the development of the appreciation of his music. This book is the first major publication devoted to the music of Janácek, now widely regarded as one of the most important composers of the early twentieth century. The essays, all by leading scholars, deal with a broad range of subjects relating to opera, symphonic poem, instrumental music, cultural context and reception. 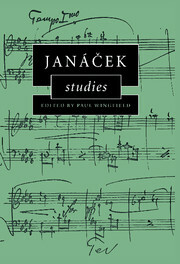 Some topics, such as the sources of Janácek's musical expressivity, questions of narrative, Janácek as musical analyst and Janácek as realist, are considered seriously for the first time, whilst other more conventional topics, such as 'speech melody' and Janácek's ethnographic activities, are reappraised. A transcription of Janácek's analytical study of 'Jeux de vagues' from Debussy's La mer is published for the first time, and this document is considered in the light of Janácek's theory of music as a whole and of the reception of La mer. 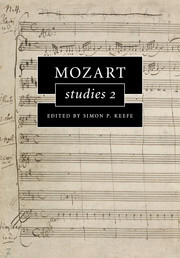 The second volume of studies based on the work of Heinrich Schenker, now recognised as the twenty-first century's most influential figure in the areas of music theory and analysis. The first section of the book contains three archival studies that derive from the contents of Schenker's Nachlass, recently made available to scholars. Schenker's unpublished papers also supplement several of the analytical studies in the second, larger section of the book. 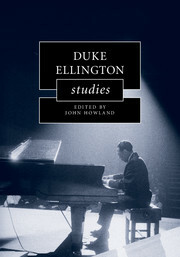 Eleven essays fall into four groups: studies in the Classic and Romantic repertory, studies in twentieth-century music, rhythmic studies and studies in the theory of Schenker's fundamental analytical constructs, the Urline and the Ursatz. 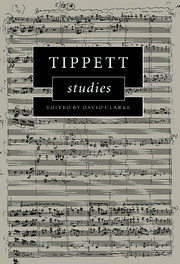 Michael Tippett (1905–98) was one of the major figures of British music in this century. 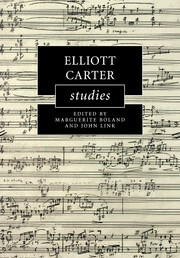 This volume of essays provides the first substantial writing on the composer for over a decade and includes the work of established scholars as well as several new voices. Essays encompass a range of genres and style periods, but a number of recurring themes may be detected. 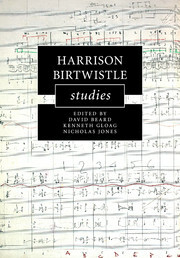 Broadly speaking, the book moves between technical discussion focused on individual works and wider questions of context - the 'external' factors that shaped the composer's musical production such as his relationship to the past, his fascination with ancient Greece and his pursuit of the transcendent. What emerges from this book is a rich portrait of a composer whose work reflects the century's triumphs and tragedies with particular intensity and who, at the end of his composing career, was increasingly acknowledged by younger composers as a major influence and example. The advances in Haydn scholarship would have been unthinkable to earlier generations, who honoured the composer more in word than in deed. Haydn Studies deals with many aspects of a composer who is perennially fresh, concentrating principally on matters of reception, style and aesthetics and presenting many interesting readings of the composer's work. 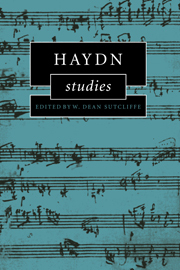 Haydn has never played a major role in accounts of cultural history and has never achieved the emblematic status accorded to composers such as Beethoven, Debussy and Stravinsky, in spite of his radical creative agenda: this volume broadens the base of our understanding of the composer. Few composers' posthumous reputations have grown as steadily as Shostakovich's. Yet outside the concert hall the focus of attention seems to have been on the extraordinary circumstances of his life rather than on the music itself. This book seeks to show that the power of his work stems as much from its craftsmanship as from its political and personal context. 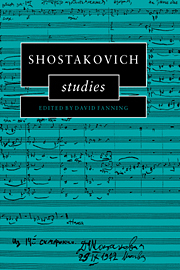 The theoretical chapters lay the foundation for a proper understanding of Shostakovich's musical language for the first time in the West. The social context is not neglected, however, and alongside many new insights spread through the book, a substantial and provocative chapter considers the issues surrounding the composition of the Fifth Symphony. The eleven essays in the volume draw together some of the finest scholars of Russian music in Europe, Russia and America. 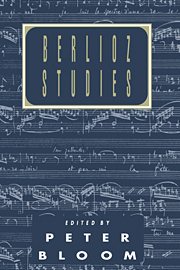 This volume contains nine substantial essays by the world's leading Berlioz scholars. They cover various aspects of Berlioz's life and works and represent an important contribution to Berlioz research. The book includes essays based on documents, both biographical and musical, that give us, among other things, a portrait of the artist as a young man and a revealing view of an important but little-studied work of his maturity. There are readings of Romeo et Juliette and La Damnation de Faust that wrestle anew with the problems of the relationships between literature and music and - as Berlioz's music nearly always requires - with the problems of genre. Two views of Berlioz's Les Nuits d'été are presented which ask when and why the work was conceived, and how the work coheres. The practical question of Berlioz's metronome marks are here thoroughly studied for the first time. The volume closes with a novel piece, in dialogue form, by the elder statesman of Berlioz scholars, Jacques Barzun, who treats with exceptional grace the profound issues raised by Berlioz the man and musician.